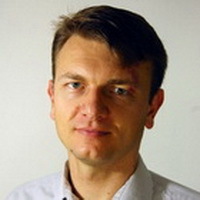 Drazen Dujic is an Assistant Professor and Director of the Power Electronics Laboratory at Swiss Federal Institute of Technology (EPFL) in Lausanne, Switzerland, where he is engaged in research activities in the broad field of electrical energy generation, conversion and storage, with focus on medium voltage high power applications. He has received his Dipl. Ing. and MSc degrees from the University of Novi Sad, Serbia, in 2002 and 2005, respectively, and his PhD degree from the Liverpool John Moores University, UK in 2008. From 2009 till 2014 he was with ABB Switzerland Ltd, and engaged in power electronics related projects spanning the range from low voltage/power SMPSs in below kW range to medium voltage high power converters in a MW range. His main research interests are in the areas of design and control of advanced medium voltage high power electronics systems and high performance drives. He is an IEEE Senior Member and Associate Editor for the IEEE Transactions on Power Electronics and Industrial Electronics, as well IET Electric Power Applications. He has authored or co-authored more than 70 peer-reviewed scientific publications and has filed 11 patents. In 2014 he received “The Isao Takahashi Power Electronics Award” for outstanding achievement in power electronics.